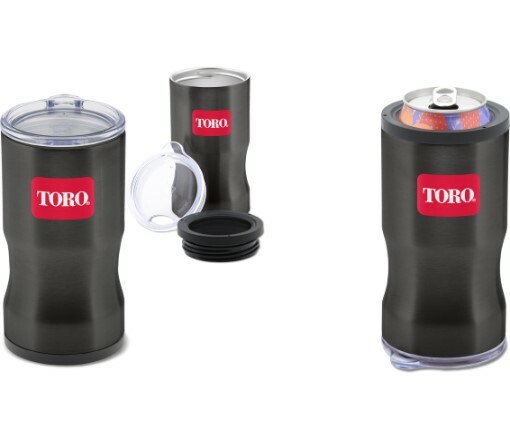 The 3-in-1 insulator/tumbler is the perfect travel tumbler as the mug also doubles as a can cooler. Simply screw on the included rubberized ring and slip your canned drinks inside for long-lasting insulation. Never have loose pieces! When either the lid or the rubber ring is not being used, screw it into the bottom of the tumbler for safe keeping! It is stainless steel, dual-wall, copper-lined, with a vacuum-insulated design. It has the Toro logo is printed on one side.